Is social media the worst customer service platform that you will ever experience? Something is rotten in the state of customer support in social media. Social media active brands are developing a very bad reputation for their non-existent customer service. The State of Customer Service Experience 2015 whitepaper found that only 2% of customers choose social media as their preferred method to contact customer support. 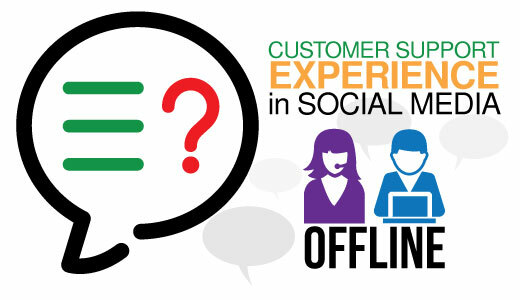 And 33% said that social customer support doesn’t meet their expectations. There are several reasons for this including the fact that 44% of survey respondents didn’t get a response at all, while 37% didn’t get their issues resolved for more than a week despite expecting a response within minutes. 63% had to reach out twice to get a response while 10% needed to ask 4 or more times. These are the stats you get when asking customers in a survey, but are they telling the truth about the actual customer support experience in social media? There are so many case studies about brands providing great customer support so surely this survey cannot be right? Let’s take a look at the data and find out. For this study we looked at more than 900 Facebook pages with almost 300 million page likes in total. We looked at their customer support activities in the month of May. 51% of pages we looked at have enabled the ability for people to publish posts on their page timelines. Our study will focus on these pages. To enable or disable the publishing ability? This is the big decision. Should you enable or disable the publishing ability of your fans? It all depends on the time you are ready to put into responding to posts and questions you may get. If you are not ready to commit, it’s best to disable it at this point in time. Use your social media as an amplification network for your content without much focus on customer support. Instead, leave that to the pros in the customer support team. Are you looking to check the status of this feature for your own page? Go into “Settings” of your Facebook page and click on “General” on the left-hand sidebar. In “Publishing Ability” you have the option to allow people to post or to disable the feature. If you do want to allow other people to post you also have the option to allow photo and video posts. You can even set the option to moderate the posts before they are shown on your timeline. Of the 450+ pages that we looked at that have this publishing ability enabled, 67% got less than 10 posts each during the month. 29% of pages got between 10 and 99 posts during the month while only 4% of pages received 100 or more posts. Looking at all the pages with this feature on, it is not very common for people to post on timelines. On average there was only 1 post per 22,500 page likes that the page has. Could this be because people are not expecting to be heard at all so they don’t even try? Let’s look further. An alarmingly high 65% of pages that enabled the publishing ability didn’t respond to any of the posts. Not a single response to almost 4,000 posts. 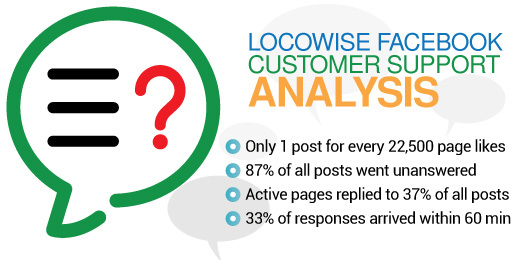 87% of all posts across the board went unanswered. Of those that actively did respond, 37% of all posts were replied to. 10.5% of pages that actively replied did respond to all the posts on their timelines but they all had 3 or less posts in total during the month. Of the people that did get a response to their post, 33% got the response within 60 minutes of posting and this is an encouraging number. 12% got a response between 1 and 2 hours after posting, 15% got a response between 2 and 4 hours after and 9% got a response between 4 and 8 hours. For 10% it took 8 to 12 hours and for 21% it took from 12 hours to 24 hours. As most brands in our study didn’t impress, we wanted to highlight the top 5 pages that responded the highest number of times. If you don’t plan to take the time to review and respond to the posts on your page, do disable this feature. It doesn’t look good for a brand to enable this publishing ability but then ignore all or the majority of the posts that they receive. Focus on other things instead. You don’t necessarily need to go the extra mile. Responses do not need to be very advanced and take you a long time. You could simply thank the customer for the feedback or point the customer to the FAQ section of your official site. How can you integrate your customer support team into your social media workflow? Some questions might not have simple responses so getting a customer support representative to reply would be ideal. Your customer support team could access your Facebook page and seek out posts to respond to. Or you could ping them the questions manually and they can send you a response for you to post. While waiting to hear back from your customer support team, a simple “Thanks, we’re looking into this and will get back to you shortly” will suffice. What response rate should you look to achieve? Ideally you should acknowledge every post that you get if nothing else than just to say “Thanks for being a fan”. Your customers are taking their time to write to you so they should hear something back. If you’re not able to respond to all posts, you should at the very least respond to any posts that raise concerns or complain about your product or service.